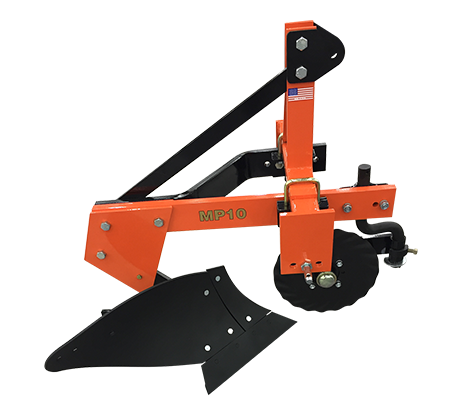 Land Pride MP10 and MP20 Moldboard Plows are ideal for small acreage farms or large gardens. These plows are the ideal tool for initial cultivation of soil to prepare for planting or when deeper tillage – more than a eld cultivator can provide – is required. Both models are equipped with replaceable 14″ shares, shins, and landsides for easy maintenance. The MP10 and MP20 frames feature a 1″ x 4″ steel trailing arm and cross member, as well as a Cat. 1 3-point hitch.